I’ve got an interest in self-serve, web-based registration processes. It just comes with the IDAM territory. I’m just signing up for another web-based service right now. Self-serve, web-based, and had to submit an email address, self-selected username, and password. I tried a phrase with spaces, but that was out of scope for their password policy, so I backed off the spaces. Up to 64 chars MAX. They’re sending me an activation email, so they can be sure that I am me. Oh yah, I also had to pass a CAPTCHA. Got the email in near real-time. I could click on the embedded Confirm Registration button, or enter the Activation Code on the site. I clicked on the Confirm Registration link, and it kicked an HTTP request back with GET params, including username, and unique activation code. They also created me a personalized email address that is connected to the account. If I wish, I can email stuff to that address, and it will gateway the content into the back-end storage connected to my account. See, boot-strapping the identity takes a number of shapes. In this case, they don’t have to request too many attributes from me, and don’t have a high burden of verification. They’ll issue the activation email, and if I get it, I’ll do something about it. If I don’t I imagine the account would get stale, and they would flush it. As mentioned last time, I’m on the lookout for cool streaming radio experiences. Over the last couple of nights, I’ve ended up in the “Podcast” menu of TuneIn Radio pro on my mobile device. Under the “Classic Rock” sub-menu, is quite a variety of choices. Last night I played a few episodes of the “Get the Led Out” podcast, which features brief Led Zep facts and trivia. Also sampled Alice Cooper’s radio show, before flipping over to “Get It On with Bryan Burnett”, all the way from Scotland. Tonight, I locked into the “Just Four Guys” radio show from Martha’s Vineyard, and selected the March 20/2012 episode “Beatles and The Beach Boys”. That show provides a 1-hour look at what the Beatles and the Beach Boys were doing in the mid-60’s, and how they were musically influencing each other’s work. Cool tracks, a bit of song-dissection, and great back-stories, courtesy of the host, Ray Whitaker. Thanks to the gang at radioparadise.com, I recently made a trip to Italy, and have made it back to Victoria safe and sound. I’m a believer in listener-supported radio, so I support radioparadise, monthly. With a small electronic cash transfer, from my vault to theirs. That helps them pay the bills, and provide a top-tier Internet streaming radio experience. Among the many cool things about the station is that they hold prize draws for their supporting listeners. And they have awesome prizes, like the AUX Box speaker system. In the April/2011 monthly prize draw, I won the AUX speakers. The extra-special value-add to the prize was the trip to Northern Italy to go and pick up the speakers! 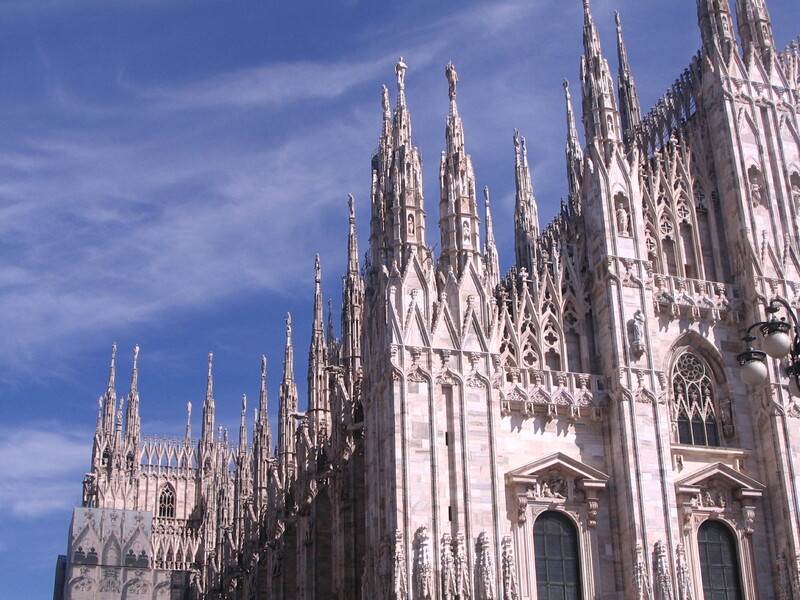 I’m just now getting the media offloaded from the various devices, and have now got a few pics to share, like the one here of the Milan Cathedral. 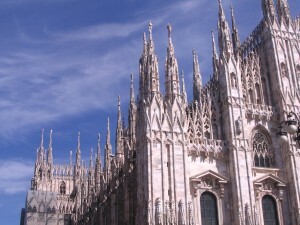 I’ve never been to Europe before, so going to Italy was quite an amazing experience. I’ll try to get some more pics up here, to share a bit of the adventure. My relationship with radio goes back a ways. I ‘d say I’ve been plugged into radio for most of my life, having grown up on AM-talk radio with Mom. And FM-rock radio with Dad. Radio has always been around, in the background, or the foreground. In the house, in the car, and at work. I’ve got lots of really great radio-listening experiences that I remember, because they made me feel something. And I did a bit of radio in the 90s, the Perpetual Motion radio show – on CFUV. 1 solid hour of techno, trance, ambient, and house. With live, spinning vinyl. We were right after the reggae show, and before the rappers came in to take charge. These days I do Internet streaming radio all the time. I’ve got my favourite stations, and I support 3 of them with cash donations.